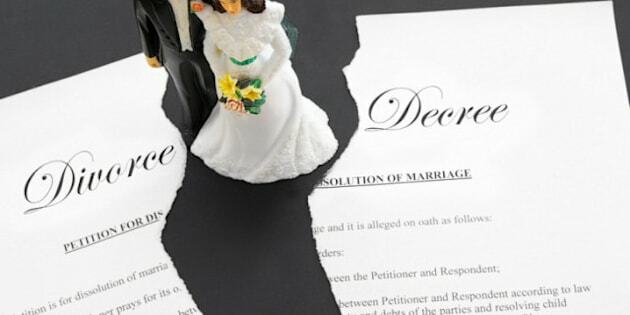 Divorce is on the decline in Canada for the third year in a row, according to a new Statistics Canada report. In a paper entitled Divorce Cases In Civil Court, 2010/11, author Mary Bess Kelly details the number of divorce cases reported from Nova Scotia, Ontario, Alberta, British Columbia, Yukon, Northwest Territories and Nunavut, representing 66 per cent of Canada's population. Family structures in Canada are changing. The proportion of married couples has been steadily decreasing over the past 20 years while common-law unions are becoming more numerous. The proportion of lone-parent families has also been steadily rising since the mid-1960s (Statistics Canada 2007). Although the number and rate of marriages has been declining in recent years, the number of married couples is still much greater than the number of common-law couples in Canada (Statistics Canada 2011 and 2007). "It makes sense to me, because more and more people are choosing just to live together, which probably is the reason behind the decline," says divorce expert and Huffington Post blogger Deborah Moskovitch, author of "The Smart Divorce." "It's not like people are choosing to opt out of a relationship, but they're not making it official." Moskovitch, however, has some anecdotal evidence that contradicts the StatsCan numbers. In her Toronto practice, she's found that separations are very much on people's minds -- even happily married ones. "I find there's a lot of people coming to me just doing their due diligence - they're not sure if they want to leave their relationship, but they want to understand divorce," she explains. "We'll talk about divorce options and getting finances in order. And I always tell them it's important to go for therapy, either couple or individual, because maybe it's not the relationship that's the issue. I don't think divorce is always the answer." Why do you think statistics are showing that fewer people are getting divorced? Let us know in the comments below, or on Twitter at @HuffPostCaLiv.